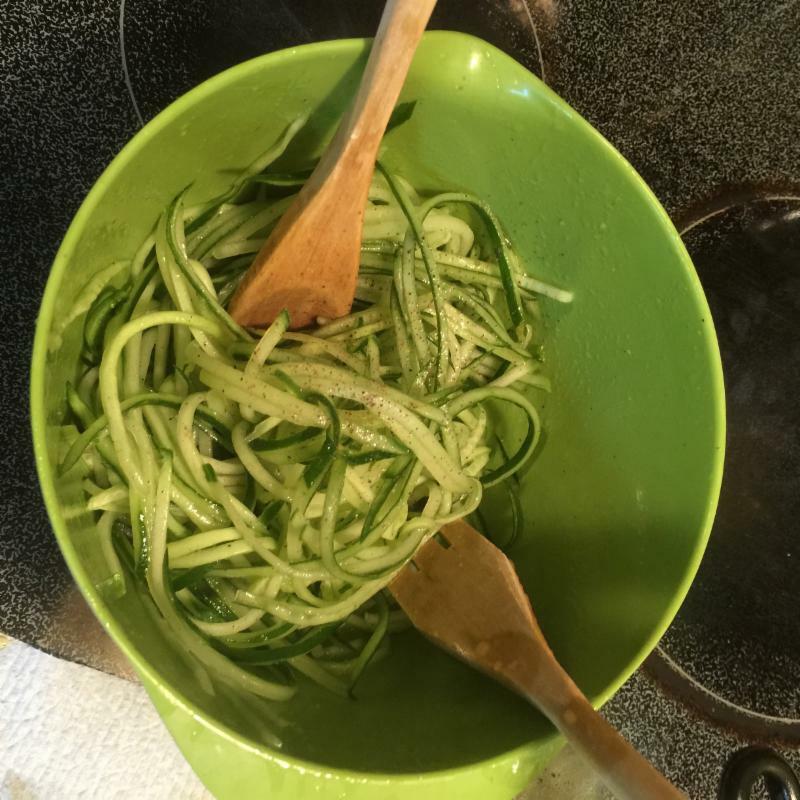 Before the cucumbers slow down in production – make some Cucumber Spaghetti! 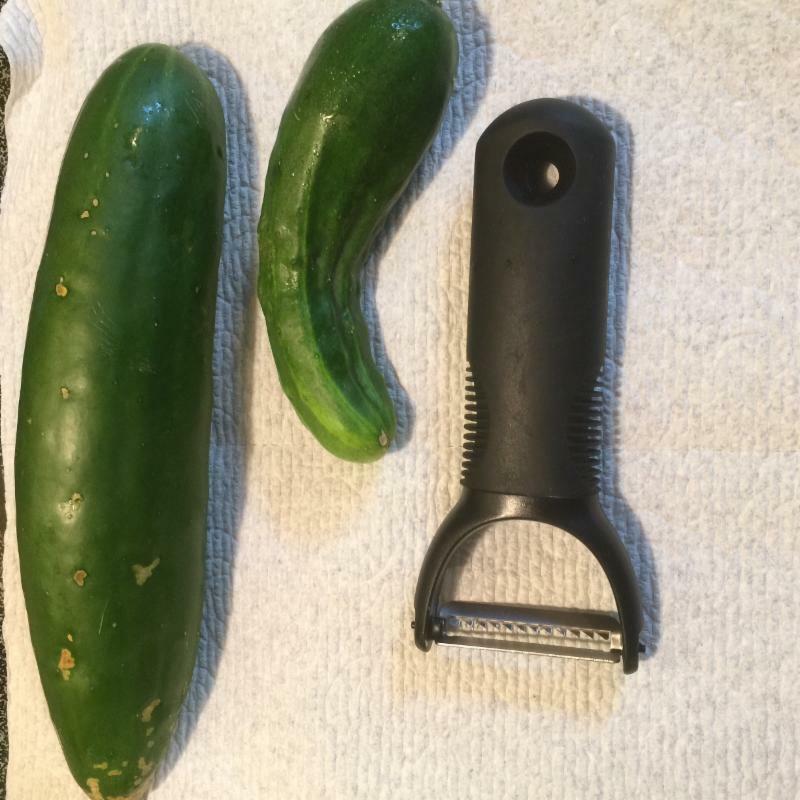 This summer, we have been eating almost all of our cucumbers as “cucumber-spaghetti.” This is so easy and fast and simple – all you need is a julienne vegetable peeler – I use the OXO Good Grips one. 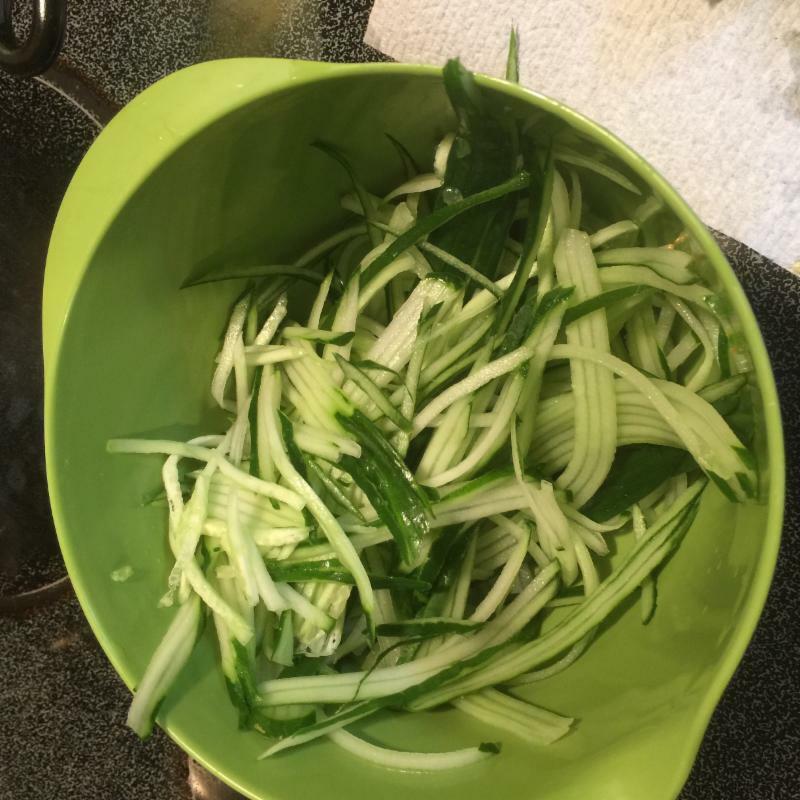 Then simply peel or julienne them – watch your fingers. Then add salt and pepper, a dash of vinegar (I used Golden Balsamic), and a dash of extra virgin olive oil. 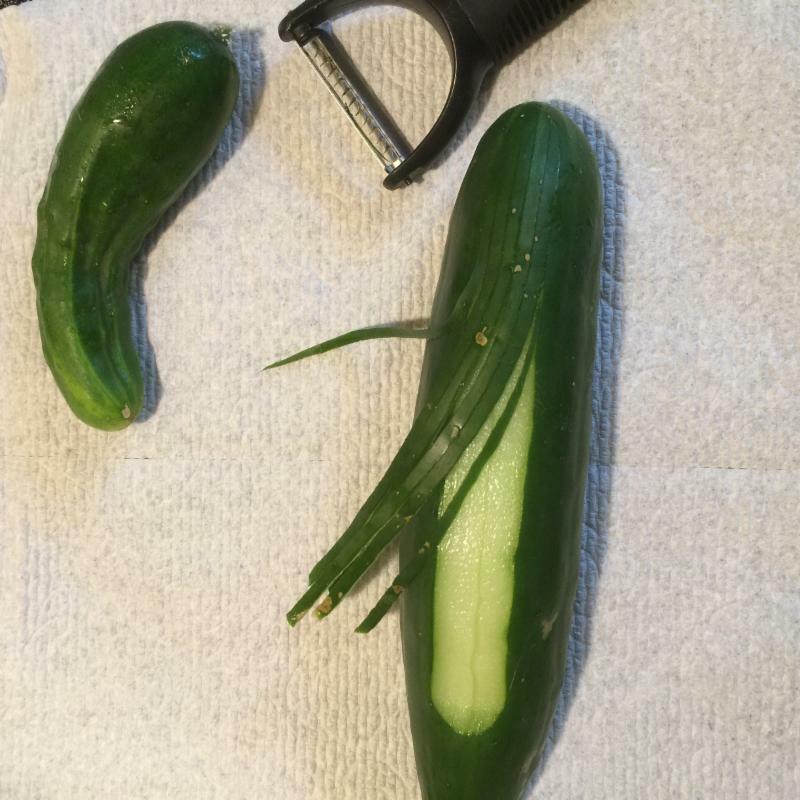 I usually put in a pinch of cayenne flakes, but that’s optional. Toss and mix thoroughly. Let it sit for at least 15 minutes. 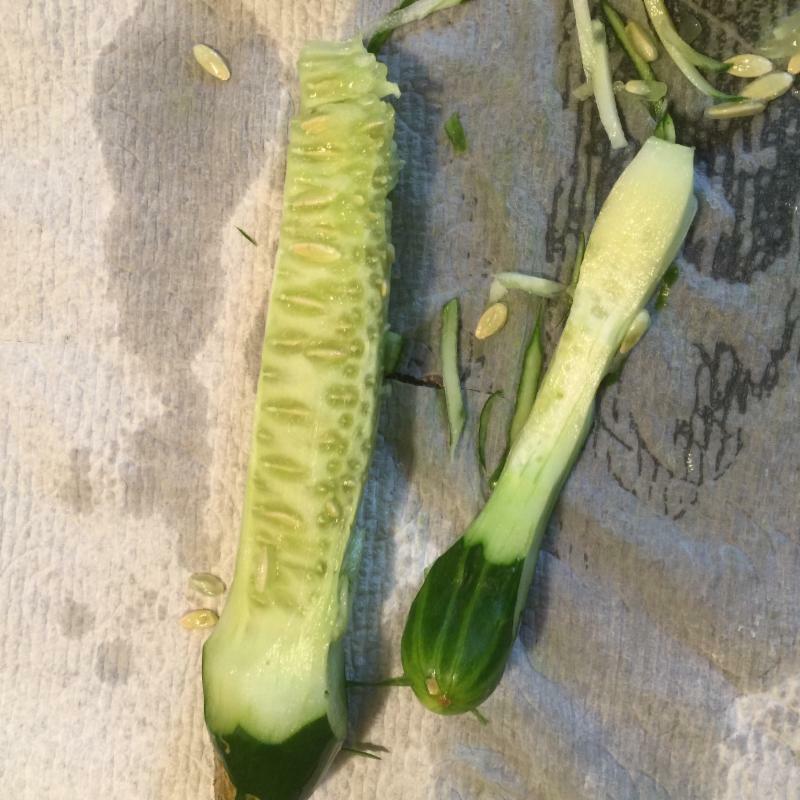 The salt will encourage the cucumber to release its juices, filling every forkful with cucumbery goodness. Before serving, toss and mix again. And serve! Posted on August 18, 2016 by sorrelbarbara	Bookmark the permalink.